Graduates of Garland-area nursing programs have the skills needed for positions at major area hospitals, including Baylor Scott & White Medical Center, Select Specialty Hospital, Sundance Hospital, and Texas Health Presbyterian Hospital. The most common roles sought by Garland’s nursing employers are nurse practitioner (NP), registered nurse (RN), vocational nurse, and nursing assistant. Duties and work environments vary significantly by role. Nurse practitioners fill senior and very independent nursing roles. Many NPs work in primary and acute care settings where they diagnose and treat chronic, acute, and episodic illnesses. Common NP duties are performing or interpreting diagnostic tests (such as lab work or x-rays), prescribing medications, conducting physical examinations, performing minor surgeries and procedures, and counseling patients about preventative measures to avoid illness. Some NPs focus on disease prevention and health promotion, while others specialize in focal areas like gerontology, neonatal care, pediatric care, acute care, or family practice. Because of their extensive training, Garland-based NPs earn some of the highest pay in the nursing sector. Local salaries range from $105,000 (overall average) to $140,000 (top decile) annually. 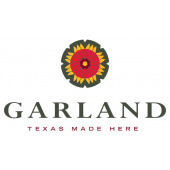 Registered nurse is the most common nursing role in Garland. These professionals perform duties in all healthcare settings, from hospitals to nursing care centers to private homes. They supervise junior nursing staff, educate patients and the public about medical conditions, evaluate diagnostic tests, review patient treatment plans, record symptoms, measure progress, and assist with exams and surgeries. Garland-based RNs earn $72,500 per year on average; the city’s highest earners can take home $95,000 or more annually. Vocational nurses are employed in a broad range of patient care settings, from hospitals to private homes. They work under the direct supervision of RNs, surgeons, and physicians. Common LVN duties include administering oral and intravenous medications, changing wound dressings, charting medical records, taking vital signs, and collecting specimens. Vocational nurses in Garland earn $47,000 per year on average, with the top LVNs earning more than $65,000 annually. Nursing assistants help patients with personal care and mobility under the supervision of RNs, LVNs, and other nursing staff. They bathe and dress patients, clean and sanitize patient areas, and transport patients to wheelchairs, beds, and exam tables. CNAs also take vital signs and examine patients for bruises and other injuries. Garland-based nursing assistants can earn $25,000 (overall average) to $35,000 (top decile) in annual pay. If Garland, Texas, sounds like a great place to launch your nursing career, we’ve compiled below a list of accredited local nursing schools to help you get started.